Co-captain Callan Ward will play his first game of the year after recovering from a knee injury. 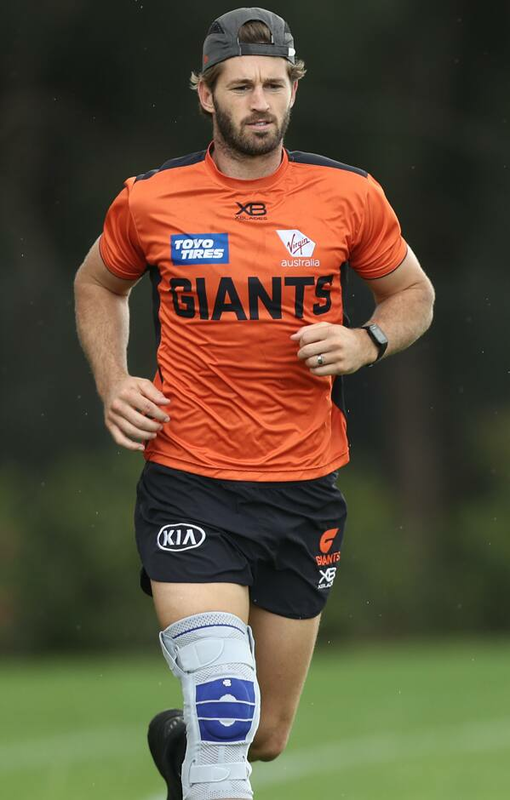 GIANTS skipper Callan Ward will play his first game of the 2019 season when the fourth-placed GIANTS take on ladder leaders Geelong on Saturday afternoon. Ward has overcome a lateral collateral ligament strain in his knee, suffered in the first JLT Community Series match in early March. Across his eight seasons at the club, Ward has missed just eight of the 164 games the club has played. Coach Leon Cameron welcomed the return of his star midfielder. “It’s great to have him back in, he’s trained well for the last couple of weeks,” Cameron said. “He wanted to try and play last week but we look forward to welcoming him back in (now). Ward comes in to replace midfielder Tommy Sheridan who injured his calf in his club debut last weekend. Cameron said the GIANTS are under no illusions about the tough task in front of his side at a ground where the GIANTS have never tasted victory. “We know we haven’t been successful down there out of four visits and we need to play a better brand to give ourselves a chance,” Cameron said. “Everyone’s looking for consistency, you want to back up win, lose or draw, you want to actually back up from the week before. The GIANTS take on Geelong at GMHBA Stadium at 1:45pm on Saturday, broadcast live on 7mate in NSW and the ACT and Fox Footy nationally.